The Peaks Resort & Spa Unit 630. Top floor, west facing with Wilson Peak and Sunset views. Two new King mattresses. The Owner of 630 enjoys ANYTIME valet parking, spa and fitness center access, ski valet, friends and family referral rates, retail ski shop, restaurant and spa discounts. 24 Hour Front Desk & Security. 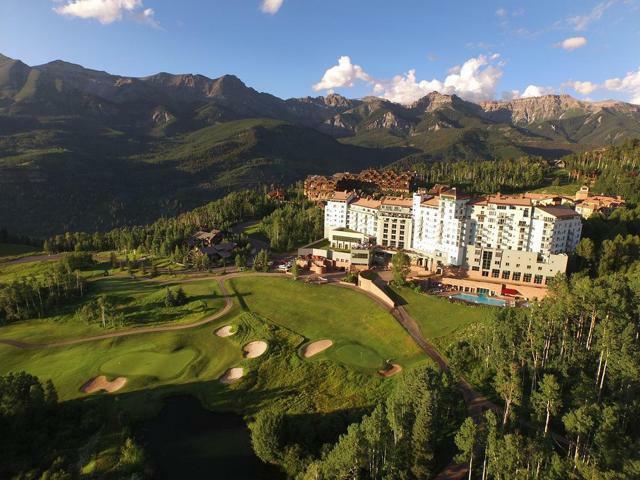 Incredible rental program momentum and management by Telluride Ski & Golf Resort. Ski-In/Ski-Out and walk to the first tee of the Telluride Golf Club. The largest Spa in Colorado features indoor/outdoor pools, hot tubs, a two story water slide, fitness, kivas, fitness classes & spa services. Enjoy ownership at the Peaks Resort & Spa!